International Society of Bionic Engineering-the CREATIVenergie team are looking for people to help mobilise resources. the CREATIVenergie team are looking for people to help mobilise resources. Over the past year we, Joel Chaney and Gareth Selby, have been formalising the set-up of CREATIVenergie, an organisation through which we aim to facilitate access to safer, cleaner energy in communities across the world. To read more about this journey please read ‘The Past & The Present’ section below. We are excited to announce that our first crowdfunder campaign is now live, providing an opportunity for friends and family to partner with us to construct improved biogas digesters and train teams to replicate these in rural Kenya and the Philippines during 2015. You can discover more about what we will be doing, and ways in which you can partner with us by watching our video and/or reading the below section entitled ‘The Future’. We hope that you will find this first issue of CREATIVenergie Communiqué inspiring and informative! We would be delighted if you could pledge your support via theCrowdfunder website and/or sign up to continue receiving CREATIVenergie Communiqué. Many thanks in advance for your support. 13 years ago Joel Chaney moved up to Nottingham to study Physics and French. A few months later he met Gareth Selby, an Architecture & Engineering student in the same city, whilst on a minibus traveling to Wales for a weekend of rock climbing. Over the years our friendship strengthened and in time we recognised an opportunity to combine our skills and experiences and work in partnership. Joel recalls that it was during his year abroad in Switzerland, and conversations with friends there, that he realised that there were opportunities to use his engineering skills and creativity to make a positive difference in people’s lives. In particular he noticed that Christians were often involved in medical projects or water and sanitation programmes yet rarely talked about the negative impacts of wood smoke. In particular more than 2.6 billion people in the world continue to rely on solid biomass fuel such as wood, agricultural residues, straw or dung, for cooking, lighting and/or heating (International Energy Agency, 2013). Worldwide, nearly two million deaths occur annually from pneumonia, chronic lung disease, and lung cancer attributed to cooking with biomass solid fuels; 99% of these occurring in developing countries (UNDP, 2009). BSP-Nepal. Traveling and working abroad made Gareth aware of the opportunities for transferring knowledge in sustainable design and engineering. Biogas in particular appeared to have widespread applications. 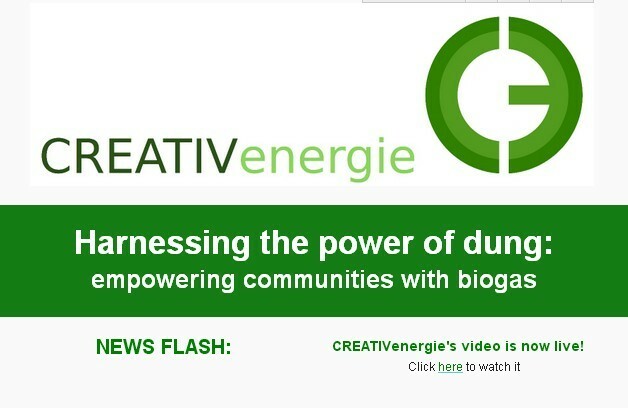 Awareness of the negative implications of relying upon solid biomass fuel and the benefits of biogas combined with our educational and professional experience, led us to form CREATIVenergie. We hope that through CREATIVenergie many people across the world (regardless of race, creed or nationality) will be able to access safer, cleaner energy and enjoy associated benefits such as increased health and wellbeing. We currently gift our time as Directors of CREATIVenergie, whilst working part-time in academia (Joel) and industry (Gareth). CREATIVenergie was formalised through registration with Companies House, England in November 2013. As a charitable company people wishing to partner with us financially can Gift Aid their donations. Based on our previous experience, we have improved our design for the biogas digester. The new design focuses on off-the-shelf materials that can be bought in less developed rural settings, thereby reducing the cost of the biogas plant and making it easier to replicate locally. Essentially the digester emulates the stomach of a cow, a prolific producer of methane gas, and converts organic waste into gas that can be used for cooking, heating and lighting. In areas where there is no centralised gas network, biogas is an attractive cleaner source of energy. We are passionate about investing our own time in training small groups of people and equipping them with the knowledge and skills required to then teach and assist many others to build biogas digesters. Ultimately this model should enable multiple households to access a cleaner source of energy for cooking with the added benefit of using the slurry as fertiliser for their fields/gardens. 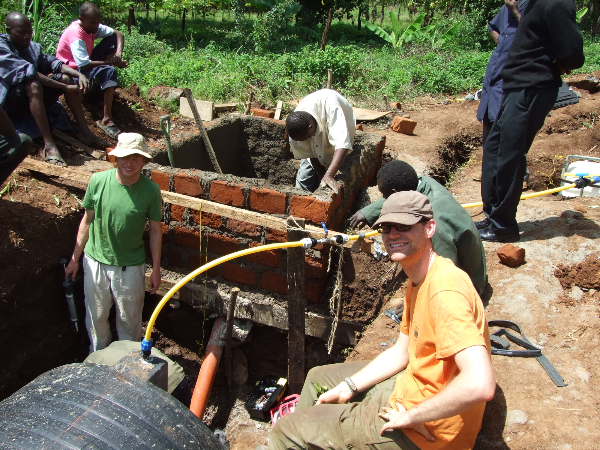 Therefore the CREATIVenergie team are delighted to have been invited back to Cheptebo Rural Development Centre in Kenya to run a ‘Train the Trainers Biogas Course’ in 2015. This follows the successful construction of a demonstration biogas digester, pioneering the first version of our digester design, which has been operational for the past two years. We are also excited about having been asked to deliver a similar programme in the Southern Philippines. To find out more about these exciting opportunities please watch our video, kindly created by our friend Tze Hung Seeto. In order to accept the invitations to deliver biogas training in Kenya and the Philippines next year, the CREATIVenergie team are looking for people like you to help mobilise resources. We need to raise £2,200 in order to prepare and publish our biogas handbook and then travel to Kenya to deliver the ‘Train the Trainers Biogas Course’. Any additional finances pledged will go towards delivering the same training in the Philippines. The charities that have invited us to partner with them will assist with sourcing the construction materials locally as well as recruit small teams of people to attend our training which will equip them to become biogas trainers within their own communities. We would be delighted if you could partner with us in one or more of the ways listed on the right. Please do contact us if you would like to further discuss partnering with us through investing or spreading the word or to chat more broadly about the work of CREATIVenergie. We hope to make further partnership opportunities available next year, but in the meantime we would be grateful if you could spread the word and/or invest in our vision to widen access to cleaner, safer energy for people that cannot take this for granted. Thanks for reading this first issue of CREATIVenergie Communiqué! Copyright © 2014 CREATIVenergie, All rights reserved. You are receiving this email because you opted to receive CREATIVenergie updates via our website.